One thing I'll quite happily admit, is that I love getting new things. 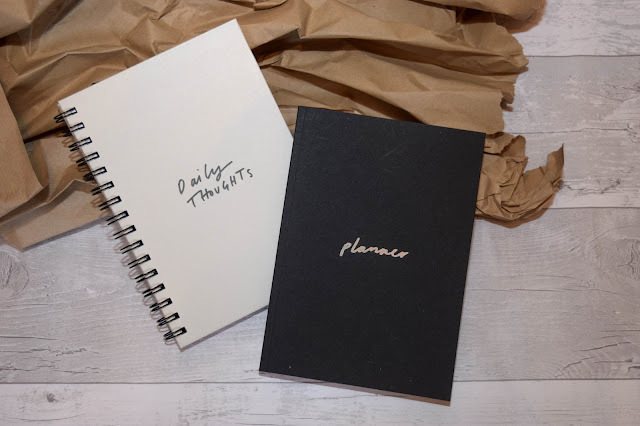 Whether its new clothes, fresh stationery or beautiful homeware, I adore shopping and the feeling of getting something great that you know you'll love having, looking at or using. 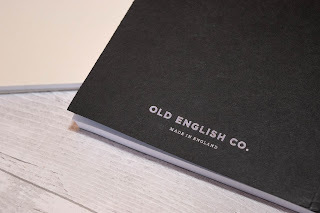 Recently I was lucky enough to be able to do a little haul from Old English Company and I picked up some really lovely bits. I've previously shopped Old English Company and actually have 3 of their A4 prints. 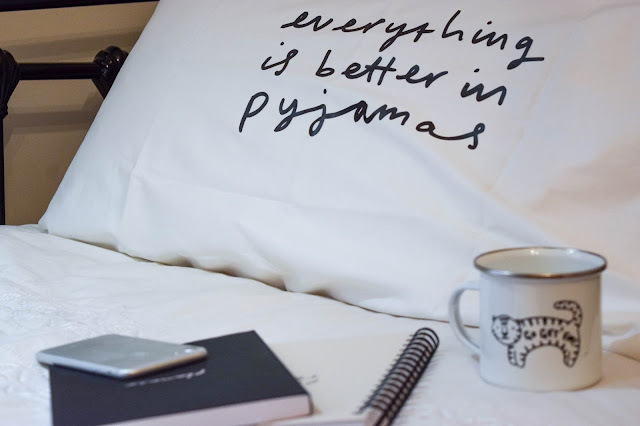 I love the prints because they're simple, monochrome and often come with clever or inspiring quotes. They're great for adding positive vibes to a room! 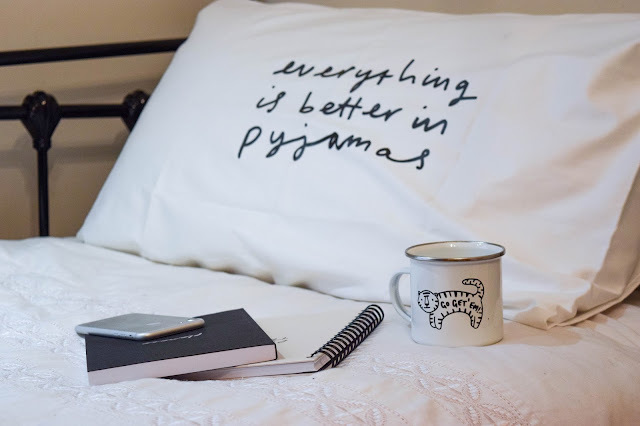 I've always known about Old English Company mostly for their prints, but most recently for their beautiful pillow cases too. I wasn't actually aware that they did stationery and pins, so I was excited to see them on the website whilst browsing. After a long browse, I found a few things I liked and thought I'd pick them up. One of the first things I got is this cute duo. 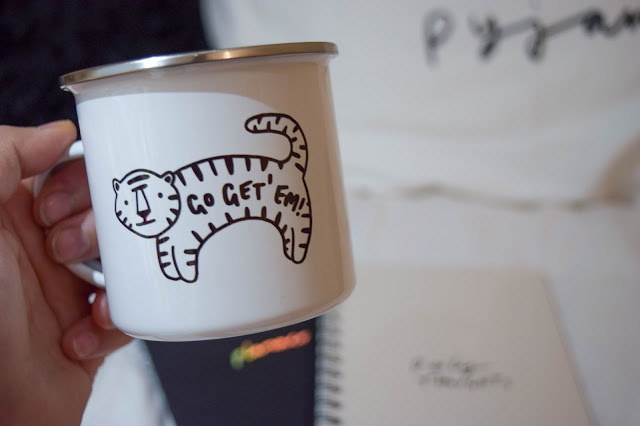 I first saw the mug and thought it was absolutely adorable and quite clever! Another motivational illustration and this one was my favourite of them all. 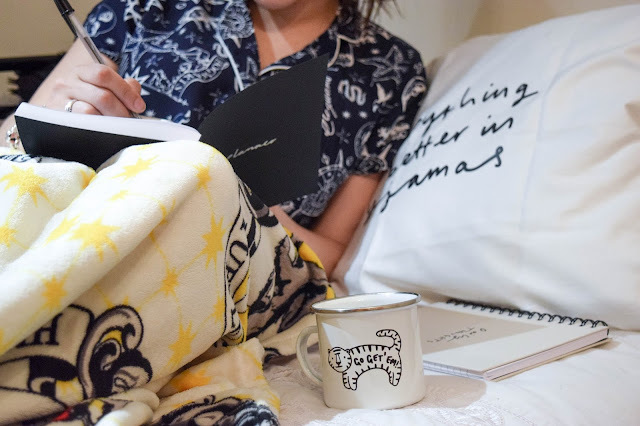 I always loved the idea of metallic mugs too and so thought, why not try one? I picked up the mug and to match I decided to get the pin badge for my denim jacket. I thought it would look great on my pocket or on the collar. Next I picked up these two notebooks. The black one is pretty self explanatory and I just fell for the pages on the inside. 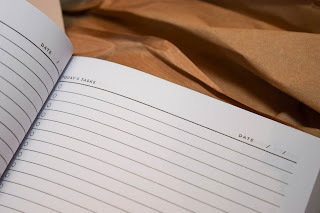 I'm always writing to-do lists in notebooks and losing them, so I was pretty pleased to find this where I could keep all my lists in one place and dated too! It's been living in my bag ever since alongside my diary for on-the-go organisation! 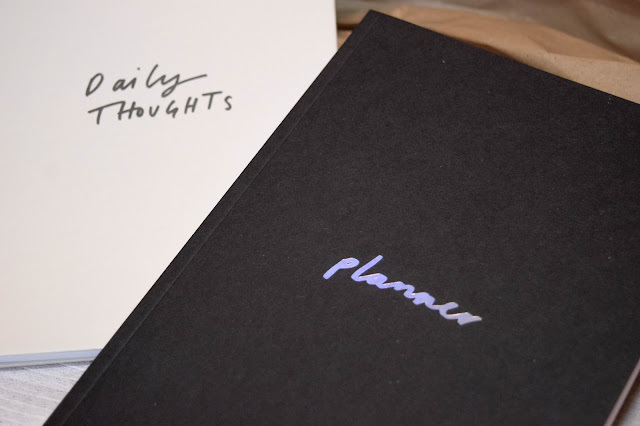 The second one is a ring-bound notebook with the title 'daily thoughts' on the front. I liked the idea that this one would be a diary more than anything but I don't think I'll be using just yet. Mainly because it's so pretty and I don't want to ruin it and secondly, because I started a diary already and think I should start using this as the second book when I finish the first one. I love the simple design and I've got a little soft spot for ring bound notebooks recently so I really wanted this one. Last but not least, I picked up one of my favourite items. I decided it was only right to pick up one of their infamous pillow cases and see what all the fuss was about. I absolutely adore the font on this noteook and the quote is brilliant. 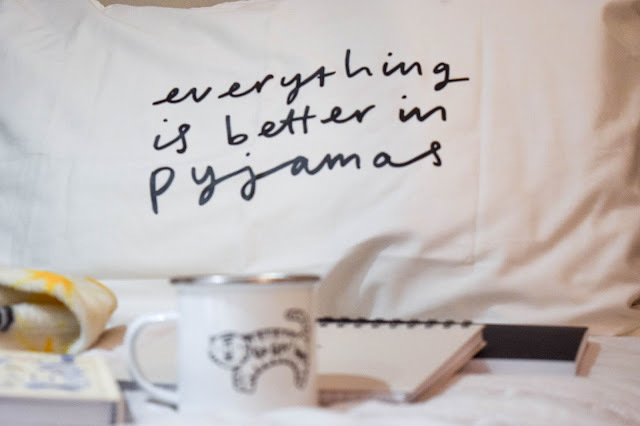 I pretty much jump straight into pyjamas when I get home and so this quote is 110% me. Friday night I actually had a little downtime where I got to try out most of the things I'd got from Old English Company. 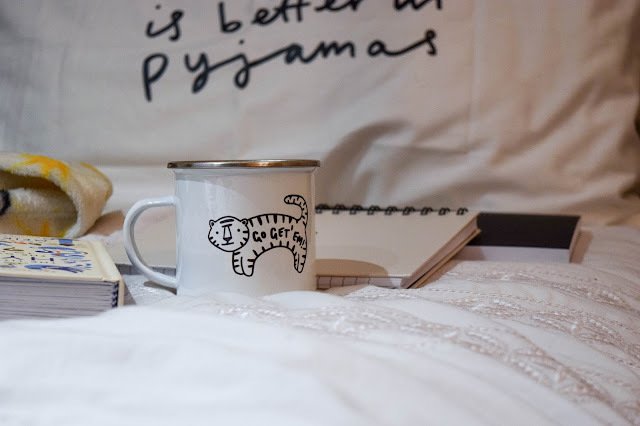 I changed my sheets, made myself a cup of tea in my new mug and sat in my pyjamas ready to organise life in the cosiest way possible. 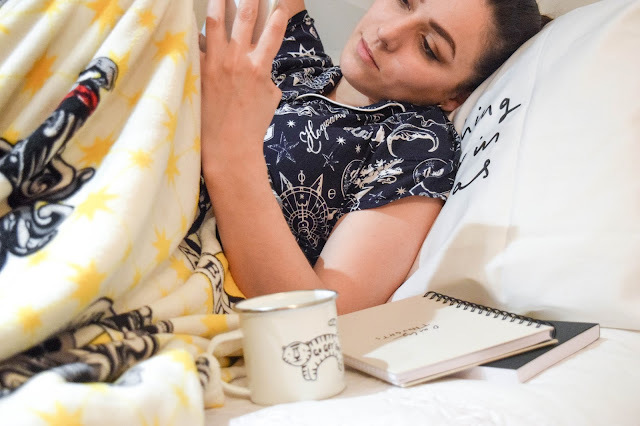 Downtime to organise life? Yeah! 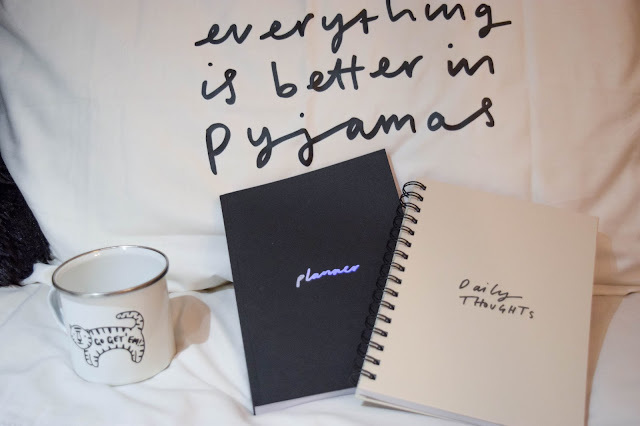 Well, when you're in your pyjamas and you've got fresh sheets, your favourite blanket and fresh new notebooks to use it's a pretty relaxing experience - well for me at least. I quite like getting myself organised like this. It relaxes me and makes me feel a little more together. Sometimes I don't feel that way but after an evening like this, I can feel a lot better about my organisation and what might be happening in the coming weeks. After organising my time, I got a bit comfier for a little reading time. Since my two week break, I've been reading a lot more and it's just been nice to enjoy books again. I don't often take the time to read books but I have been enjoying getting back into it. I don't think I'll be finishing the book I was reading simply because I now know what the inevitable ending will be and it's also in a style or writing I find a bit tricky to read. I recently read Where Rainbows End by Cecelia Ahern and I thought that was a brilliant and easy read! I think it's great if you want a romance novel that's a little out of the box. It's also great to stop wherever you like, whether it's mid-chapter or mid-sentence. I think you could quite easily still carry on without feeling lost. First of all, I've got to say the pillow is the softest thing I've ever put my head on. On top of being super soft, the print is high quality. I can't fault it and it's definitely going to be a staple pillow case in the guest bedroom when we move out. I've been sleeping with it over the last couple of days and I can definitely feel the difference in fabric quality compared to my other pillow cases. I much prefer this one, it makes the price tag a little more worth it! The mug is also cute and aesthetically pleasing to look at. One thing I do have to say about it though, is that you might want to wait for your drink to cool a little bit before grabbing it - even by the handle. When I made my tea in it, it was a bit too hot to hold. But once it got to a more comfortable drinking temperature, it was perfect and a nice warming mug. It was a little disappointing that this was the case but if it still feels like a problem for me, I'll probably just use it to hold pens in it or something! It's amazing quality in general and a classic piece of kitchenware but just be careful with it when you're hot drinks are fresh out. The pin has been on my jacket a few days now and I've got a couple of compliments on it. 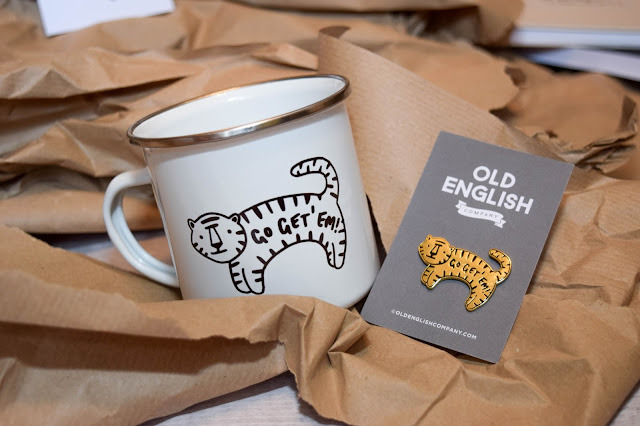 People have liked the cleverness of the words 'go get 'em' on a tiger and also have spotted it quite quickly being the shiniest thing on my jacket and the only pin I have too. I love patches and did think of getting one but I couldn't resist this pin. It felt like it suits my personality than the other patches. Finally, the notepads are brilliant quality too. You can see care has gone into the designs of these pieces and good thought about how the product has been made. 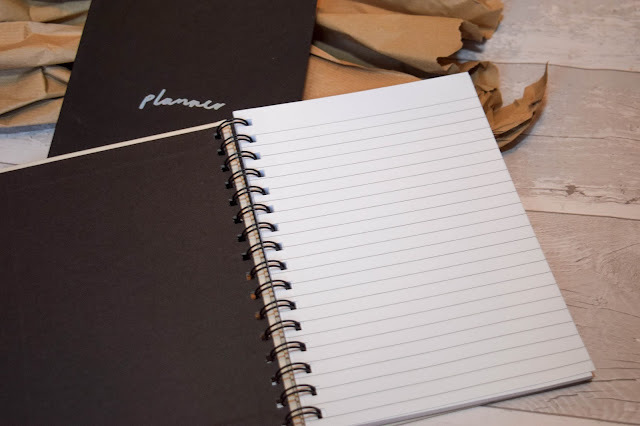 The planner has a bunch of pages for those who need organisation in their lives (ehem, me) and the quality of paper means it's durable, easy to write on and generally feels more luxurious. Have you ever shopped from Old English Company before? If so, what did you pick up? Though this is a collaboration post, I do genuinely recommend the brand. I've always admired them and having purchased from them prior to this collaboration I think says something. I do think sometimes it is a little pricey but for the price it is fantastic quality. I think the stationery and homeware is well priced for what you get but I did wince a little at the price of some of the prints. I don't think I paid that much for mine before but maybe the quality is different or something. Whatever it is, they do have some beautiful designs. I recommend the 'She believed she could so she did' print!